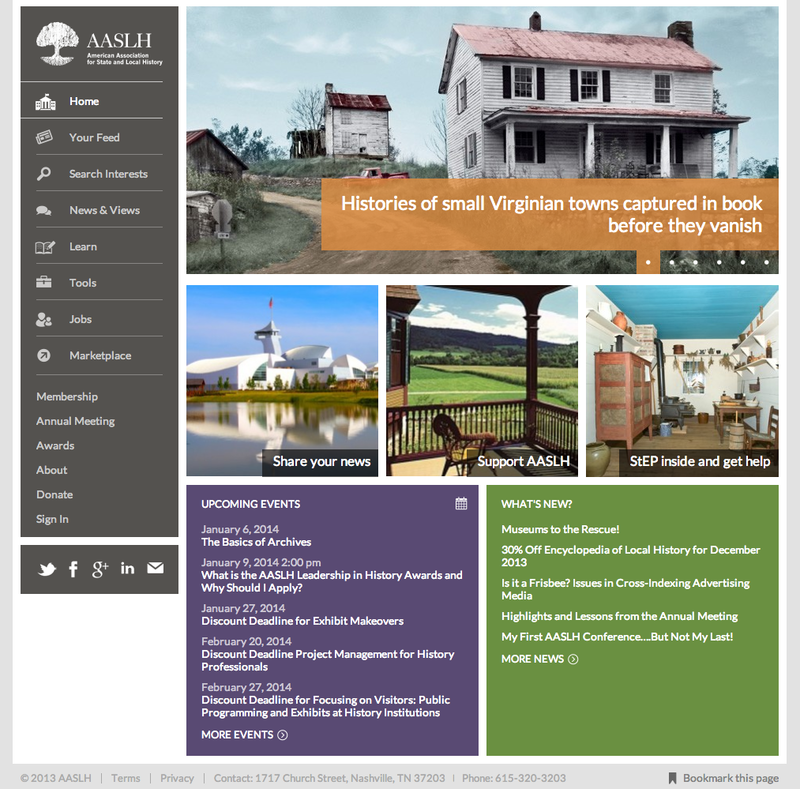 The American Association for State and Local History refreshed its website at aaslh.org, launching a significantly improved and enhanced version that’s rich with color and photos, along with continually updated news, blog posts, and tweets laid out in a magazine format. You’ll need to explore the various pages to discover the new features and content, but I especially like News and Views to quickly soak up what’s happening and the Learn and Search Interests pages, where you can browse popular topics with just a click of a mouse, such as “administration” or “funding.” There’s also a Your Feed page that allows you choose from a menu of topics that interest you, such as “best practices” or “historic houses” and viola! you get a special page created just for you. As a member of the AASLH Council, I officially receive the credit for the new website, but it actually belongs to the AASLH staff, particularly Rebecca Price, Bob Beatty, and Terry Jackson. This new website has been a longtime in coming, but it was worth the wait. PS. If the new website comes up broken, as it did for me at first, just refresh your browser to clear its memory of the old website. This entry was posted in Resources, Technology and tagged American Association for State and Local History on December 3, 2013 by Max van Balgooy.